Intense et riche, sur les fruits sauvages. La bouche est complexe et les tannins sont fondus. Ce vin est puissant et possède une élégance racée. À boire dès maintenant et dans les trois prochaines années, sur des petits gibiers. 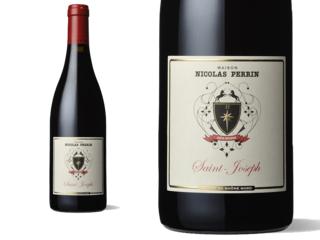 This is the Northern Rhône’s sleeper appellation; lush and concentrated with rich plum and blackberry fruit; lush, meaty and showing pepper and spice; balanced and long. Syrah. Ruby-red. Dark berries, cherry pit and olive on the smoke-tinged nose. Chewy and focused, offering nicely concentrated bitter cherry and cassis flavors and a touch of cracked pepper that gains intensity with air. Closes with excellent lift and cut, leaving spicecake, licorice and black tea notes behind. In the same ball park, the 2012 St. Joseph is another delicious, textbook release from this producer. Game, leather, crushed rock and mulled red and black fruits all emerge from the glass, and this rock solid effort is medium-bodied, juicy and fresh, with solid overall balance and length. Enjoy it in its first 5-7 years or life. 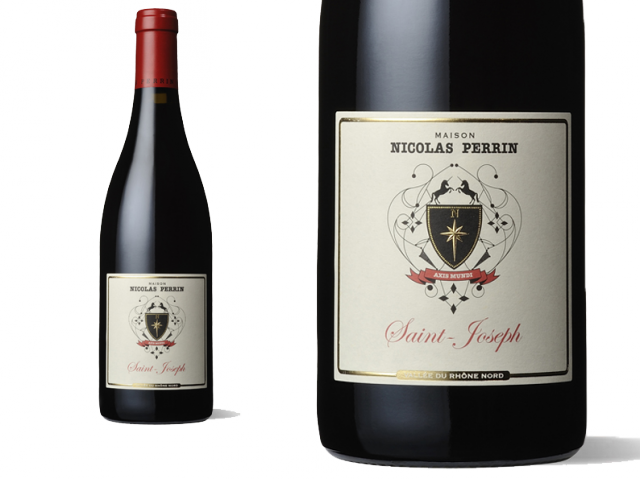 A collaboration between the Perrin Family, of Beaucastel, and Nicolas Jaboulet, of the Jaboulet family in the northern Rhône, this lineup is made mostly from purchased grapes (The Perrin’s own some of the vineyards in Crozes), with the wines made using Beaucastel barrels in the north, and blended at the Perrin Family winery in the south. They are all well-made, high quality efforts.